Two ex-Parliament Hill journalists are speaking out about the sexual harassment they experienced in the 1980s from Michel Gratton, who served as press secretary to former prime minister Brian Mulroney. Former reporters Kathryn Young and Judy Morrison said Gratton sexually harassed and even assaulted one of them, in interviews with CBC's "As it Happens" Thursday. Young joined the Ottawa bureau of The Canadian Press in 1984. One night, she went for a drink at the Press Club and later met Gratton, a Hill staffer known for his hard-living ways, as she was leaving. The two had a professional relationship — as a night reporter, Young relied on him for important information from the Prime Minister's Office — and she thought, on this night, that a member of the capital's "Old Boys Network" was treating her as a true colleague. He asked to share a cab with her and started kissing her when they were inside. Young pushed back against his advances. The cab soon arrived at her apartment and, concerned about their ability to work together, Young invited him upstairs. It was there that he pinned her down, kissed her, tore open her shirt and put his hands underneath, she said. "I was stunned and I thought, 'This is it. This is my time. I'm going to be raped,'" Young told CBC. She eventually pushed him off, yelling "No! No!" before he finally stopped and left. Young never reported Gratton to police, though she did relate the incident to a work colleague. Then, in 1986, an encounter between Morrison and Gratton hit the pages of The Toronto Sun and, eventually, the House of Commons. Morrison, then the host of CBC's "The House," said Gratton repeatedly asked her for a date despite her being married, according to a Canadian Press/Southam News story. By the time the story was published, a total of five women had made complaints about Gratton to the parliamentary press gallery, and Young had come forward with her own allegations. NDP MP Margaret Mitchell stood up during Question Period in the House of Commons and called for an investigation into Gratton's "unprofessional, sexist conduct" with female reporters. A column by Don Braid said that MPs laughed when the issue was raised in the House. Gratton would eventually apologize for his conduct and Morrison would accept it, according to Braid. 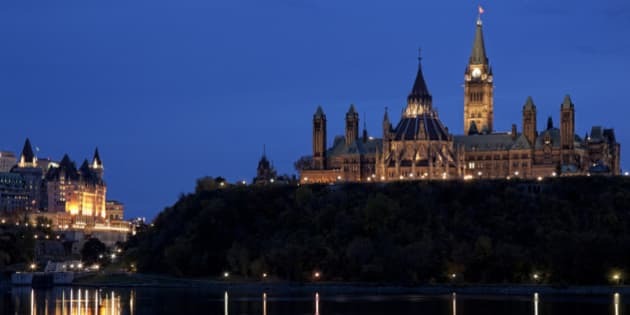 But as new allegations of sexual harassment have been levelled against suspended Liberal MPs Massimo Pacetti and Scott Andrews, both Young and Morrison are concerned that not much has changed on Parliament Hill. A number of people have come forward with their own accounts of inappropriate advances by staffers and politicians. CBC parliamentary writer Laura Payton says that a number of women who work in Ottawa are careful about who they meet and where, and even how they dress at events. Ultimately, she pledged to speak up if someone flirted with her in a way that made her uncomfortable. "But, like the current discussion, I fear that commitment will fade with time," Payton said.